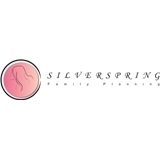 Silver Spring Family Planning (Silver Spring) - Book Appointment Online! Dr. Mark Clarke is a board certified gynecologist who provides affordable, high quality gynecological and family planning care in a comfortable setting. We offer flexible appointments, minimal wait times, and competitive prices for a wide range of services including well woman care, STD evaluation and treatment, cancer screening, contraceptive options, medical and surgical termination, and total gynecological care. Our attentive bilingual staff is dedicated to making your visit a positive experience. We are located in downtown Silver Spring, MD easily accessible by public or private transportation with available parking. We provide superior care in a safe and comfortable environment. Very efficient and makes me feel comfortable. Office staff is kind and caring.